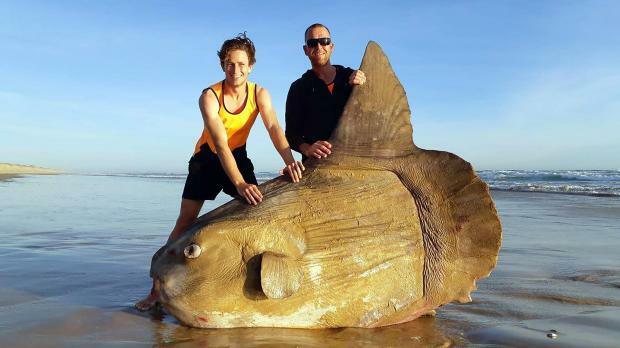 The 1.8 metre specimen - believed to be a Mola Mola, or ocean sunfish - came ashore near the mouth of the Murray River in South Australia at the weekend. The fish can weigh up to 2,200 kilograms, according to National Geographic. It earned its name for basking in the sun near the ocean's surface, but is also known to dive several hundred metres into the depths, he said.